Gene Robison used to spend a good part of his week chasing deals by contacting every lumberyard in town to get the best possible price. He doesn’t do that anymore. 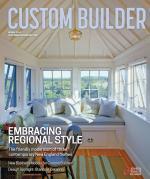 Six years ago, the custom home builder joined the Salt Lake City chapter of CBUSA, a buyers cooperative, and combined his building material purchases with those of a dozen other builders in his market. Cooperatives that leverage purchasing negotiations with manufacturers are popular among suppliers and distributors but less common among home builders. Dennis Hunt of Leading Edge Custom Homes, in Indianapolis, belonged to the Custom Home Builders Co-op for 15 years, but that network dissolved during the recession as lumber companies and other participating vendors went out of business. He’d like to join a buying network again, but in the meantime says he’s searching the internet for building material deals. “You have to search—that is, if you have the time to search,” he says. There are businesses, such as HomeSphere, that take pools of builders and handle tracking and collection services for rebates that are offered from pools of manufacturers. Builder Partnerships does that in addition to negotiating incentive buying discounts from manufacturers for builder members, along with offering consulting services and digital tools to help manage cost profitability. However, the handful of cooperatives out there that were specifically organized to combine purchasing volume in order to extract cheaper prices from suppliers and manufacturers are on the verge of expanding to an underserved industry. Robison’s luxury homes sell for more than $2 million, but at just three closings last year, he and many other independent builders couldn’t hope to come close on their own to leveraging volume discounts that the nationals and bigger regional competitors can demand for commodity building materials such as lumber, concrete, drywall, and value-added equipment like water heaters and appliances. But there is strength in numbers. CBUSA, currently with 319 builders, and collective starts and revenue projected to be 5,100 and $2.3 billion this year, respectively, would rank among the top 10 as a single entity in Professional Builder’s Housing Giants. Affiliated Builders Group, another home builders co-op, which is based in Edmond, Okla., has more than 100 builders that collectively boast 3,500 starts and over $1 billion in annual revenue, would be among the top 20 Housing Giants. “In a lot of these markets, the independent home builder is competing against the nationals or large regional builders that have been leveraging their volume for a number of years to create a competitive advantage in the market,” says Todd Waddle, president of Affiliated Builders Group (ABG), which operates cooperatives in Oklahoma City and Tulsa, Okla.; Kansas City, Mo. ; Dallas and San Antonio; and New Orleans. “By us assembling a small group that has equal or more volume in that given market, it allows us to compete at that same level,” he says. Waddle’s background includes working for an industrial distributor that belonged to a buying network. He and business partner Hai Bui—the pair met during a stint in the banking industry—saw an opportunity to start their own business running a network for builders in 2006. Today ABG has full-time representatives in its six cities and plans to expand to 10 more markets during the next five years. “We tackle a wide array of commodity materials on the local level and negotiate prices on behalf of the group. We also have national agreements with manufacturers of appliances, plumbing fixtures, hot water heaters and so forth, where a home builder in our group can specify a particular brand we’re aligned with and get additional dollars through ABG from that manufacturer,” Waddle says. Phil Rhees, managing officer of BMI Construction, in Tulsa, Okla., has been in ABG since the network started there 10 years ago. His company builds three to four high-end custom homes annually, and he estimates that the co-op helped him save at least 5 percent of what he otherwise would have paid for building materials. “We’re a relatively small market, and most of the builders here build 10 homes or fewer, so banding together with other builders the same size enables you to purchase materials at the same level as guys that build 200 or 300 homes a year here in town,” Rhees says. Bill Smithers was part of the Custom Builders Council for the Northern Virginia Home Builders Association during the late 1990s when the group launched a volunteer effort to band together for the sake of negotiating better lumber prices. The co-op committee saw initial success, and interest grew from other builders who were connected to council members through Builder 20 group affiliations. Smithers and the original council members saw an opportunity, particularly if business systems were put in place, to take the co-op to the next level. “Our systems back then were Excel spreadsheets that changed colors when the price was higher or lower,” Smithers says. Several council members became investors, and CBUSA rolled out in Houston during 2004 with Smithers as CEO. The investors have since been bought out, and today the co-op has operations in 20 cities and intends to expand this year into Nashville, Tenn.; Seattle; Columbus, Ohio; and Charlotte, N.C.; with Pittsburgh on the radar for a future launch. The CBUSA staff collects data from builder members who are willing to commit their business up front and assembles a request for proposal for a national contract with, for example, manufacturers of HVAC equipment. The co-op approaches Lennox, Carrier, Trane, and others to bid for the contract, which is not merely the extension of rebates but also a discount based on volume as well, at prices fixed for the period of the contract. Both ABG and CBUSA make their money by retaining a portion of the rebates that manufacturers and suppliers pay to builders. However, a co-op isn’t a good fit for every independent builder. Summit Custom Homes is among the larger builders in the Kansas City, Mo., market, and CEO Fred Delibero has a purchasing staff that he believes negotiates better terms with local and national suppliers than he would get from a buying group. Smithers admits that CBUSA’s initial profile of members then was small builders with 10 or fewer starts per year. Also, the co-op wasn’t writing national contracts when the Frankels were members. Since then the network has evolved, with cloud-based bidding software that enables members to upload their plans and specs to one or all of the vendors that are part of the group and solicit bids on their project. The software enables builders and vendors to post questions and answers about the bid package, and builders rate their vendor experience so that other members can read about vendor performance. Both co-ops are selective, so not just anyone can join. When entering a new market, ABG recruits builders that are strong and have a track record for quality, financial integrity, and a good reputation. For existing groups, the members must vote in a new member. CBUSA members refer other builders and vendors they want in the network, and those referred companies are then vetted by the cooperative. Both groups require members to pay on time and to comply with the vendor’s conditions for taking deliveries, pickups, takeoffs, and other policies that protect suppliers from dealing with high-maintenance clients. Both networks hold monthly meetings, which provide an opportunity for manufacturers to pitch their products and train builders. Builders Network is a San Diego-based startup that will accept any home builder or professional contractor. The network is an extension of an existing buying group of large construction companies, many having 40 years of multimillion dollar purchasing history with approximately 30 suppliers, such as The Home Depot, Consolidated Electrical Distributors, Milgard, HD Supply White Cap, USG, and others representing 20,000 manufacturers in all. The core members include luxury custom home builders, commercial builders, real estate flippers, and a California restoration contractor that has rebuilt more than 2,600 homes destroyed by natural disasters. Builders Network’s principals saw that there was an underserved market of home builders and remodelers for their concept and toyed with the idea of operating a buyers club. The basic membership is free—Builders Network makes some of its revenue by collecting a portion of rebates from manufacturers and by charging a small processing fee for purchase orders—and participants receive a basic level of discounts from the group’s stable of suppliers. There also are upgraded annual membership levels ranging from $79 to $499, offering additional discounts of 5 percent, 6.5 percent, and 8 percent for purchases on top of the savings that come with basic-level membership. The core members have years of building relationships and have streamlined the buying process with suppliers and manufacturers to the point of even testing software, which evolved into BuilderPro. Members get free or inexpensive access to BuilderPro software for purchasing and, if they want, for project management and customer relationship management applications. A staff of account managers negotiates with suppliers and manufacturers for discounts. As with CBUSA and ABG, members can upload their plans and collect bids. At press time, Builders Network had about 100 paying members, but it plans to launch an online marketing campaign this summer to attract more members and expand its supplier network. One drawback is that the network’s independent suppliers are concentrated in California. While many building material products can be sent to members from local sources, for the time being some markets can only be served by a national supplier like The Home Depot, which may not offer as generous a discount as the local lumberyard or a boutique supplier. Those builders that are in co-ops are finding more benefits than simply saving dollars. Now that Robison spends less time chasing deals, he devotes more effort to looking at the big picture for his business. “It also allows me more time to bid projects better because I know where my pricing is going to be and allows me to meet more with clients and keep them apprised of where pricing is at,” Robinson says. Comments on: "Strength in Numbers"